In the next 5-10 years, 1.36 to 2.0 million businesses will trade hands as the entrepreneurial Baby Boomers look to retire. That represents up to 10 trillion dollars in financial activity! And we can expect twice that level of activity over the next 20 years. In this new talk aimed at the millions of business owners who need to think about their exit strategy (even if it is far off), Bo Burlingham––Editor-at-large of Inc. Magazine and author of Small Giants––offers lessons to organizations of any size, and presents great tips for any executive looking to increase their company’s value. Bo’s presentation will profoundly affect the future of these millions of business owners. A new class of great companies has been forming. These companies don’t fit comfortably into any of the three categories we normally put businesses in: big, getting big, and small. Some are tiny; others are relatively large. Most are growing, often in unconventional ways, but several have chosen not to grow at all, and a few have made conscious decisions to scale back their operations. Most of them have been recognized for excellence by independent bodies inside and outside their industries. Not coincidentally, they have all had the opportunity to raise a lot of capital, grow very fast, do mergers and acquisitions, expand geographically, and generally follow the well-worn route of other successful companies. Yet they have chosen not to focus on revenue growth or geographical expansion, pursuing instead other goals that they consider more important than getting as big as possible, as fast as possible. To make those trade-offs, the companies have had to remain privately owned, with the majority of the stock in the hands of one person, or a small group of like-minded individuals, or—in a couple of cases—the employees. 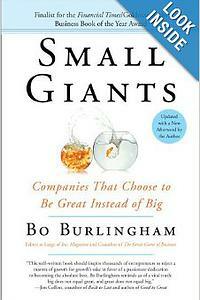 Bo Burlingham is currently a contributor for Forbes, where he writes about entrepreneurs and entrepreneurship. He recently released his Forbes "Small Giants 2017: America’s Best Small Companies." Previously, Bo joined Inc. in January 1983 as a senior editor and became executive editor six months later. In 1990, he resigned so that he could do more writing and became editor-at-large. Subsequently he wrote two books with Jack Stack, the co-founder and CEO of Springfield Remanufacturing Corp. and the pioneer of open-book management. One of the books, The Great Game of Business, has sold more than 300,000 copies. The other, A Stake in the Outcome, has been called “the first management classic of the new millennium.” Burlingham co-authored with Norm Brodsky the popular monthly column in Inc. called “Street Smarts,” which was a finalist for a National Magazine Award, the highest honor of the magazine industry. 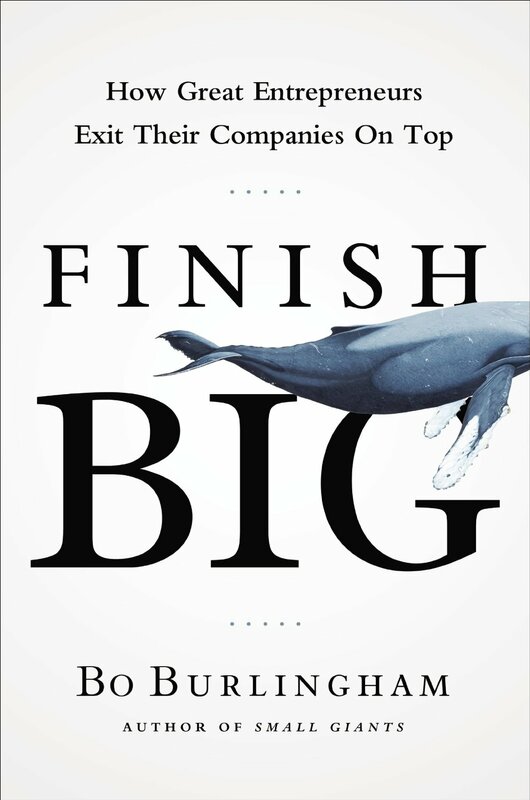 In Bo Burlingham’s latest book, Finish Big: How Great Entrepreneurs Exit Their Companies On Top, he presents the eight factors that separate owners who've been happy after selling their companies from those who've been miserable. Bo’s other books include Small Giants: Companies That Choose to Be Great Instead of Big and The Knack: How Street-Smart Entrepreneurs Learn to Handle Whatever Comes Up with Norm Brodsky. 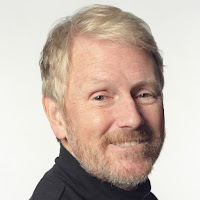 Before joining Inc., Burlingham freelanced for various publications, including Esquire, Harper’s, Boston Magazine, The Boston Globe, and Mother Jones. He was also managing editor of Ramparts magazine. In 1982, he joined Fidelity Investments and wrote for Peter Lynch, Ned Johnson, and other executives until coming to Inc. From 1992 to 1997, Burlingham served on the board of The Body Shop Inc., the U.S. subsidiary of the international cosmetics company. He was also a founder, with Tom Peters, of PAC World, an international networking group.